Hydrangea arborescens 'Annabelle' is a deciduous shrub producing large rounded flowerheads of small, four-petalled creamy white flowers in summer. The flowers gradually fade to dried brown seedheads, which can be kept on the plant as an attractive feature through the winter months. The bright green, heart-shaped foliage is an excellent foil for the flowers. Height 150-200cm. Supplied in a 7.5-10 litre pot. 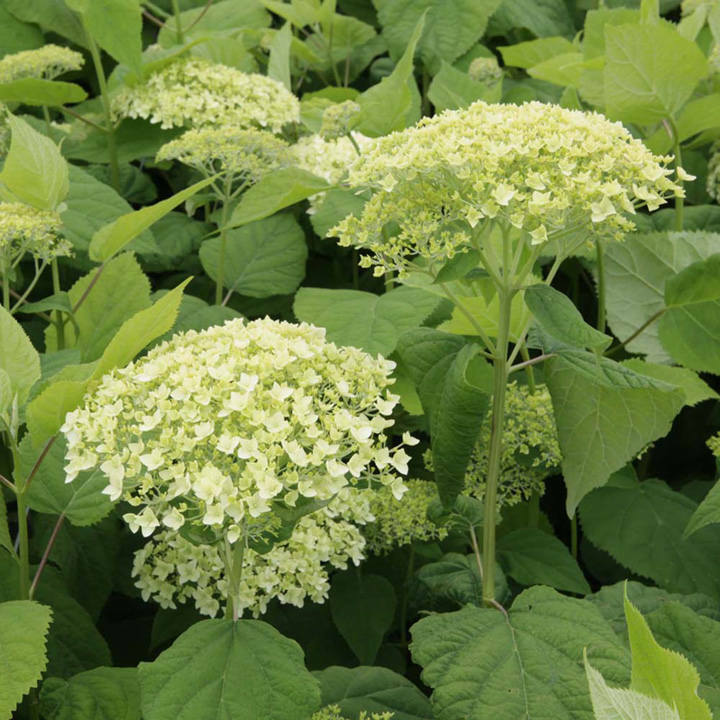 Hydrangea arborescens 'Annabelle' is a deciduous shrub producing large rounded flowerheads of small, four-petalled creamy white flowers in summer. The flowers gradually fade to dried brown seedheads, which can be kept on the plant as an attractive feature through the winter months. The bright green, heart-shaped foliage is an excellent foil for the flowers. Height 150-200cm. Supplied in a 3 litre pot or 7.5-10 litre pot.